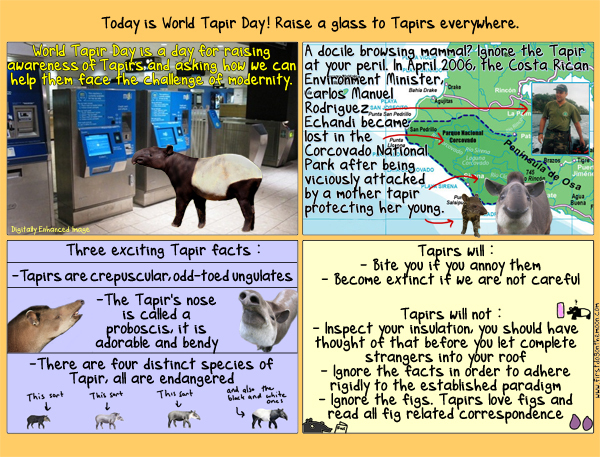 The students of Darien High School in Darien, Connecticut, United States, extend cordial greetings to everyone on this World Tapir Day 2018. We are celebrating by singing our Ballad of the Tapir (El Corrido del Tapir) in Spanish during videoconferences today with classes in Argentina, encouraging all our friends in several countries to help protect and appreciate our class mascot, the tapir. Congratulations to everyone on the 10th anniversary of WTD!